Last week the Supreme Court heard an historic number of oral arguments as it considered challenges to the Affordable Care Act. Unlike other portions of the federal government, those responsible for the transcripts move at the speed of light. 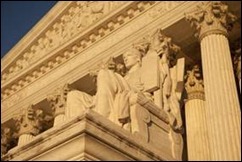 Some of them can be fairly enjoyable – the Justices have well-developed senses of irony, sarcasm, and humor. The idea that Congress has acquiesced in what we have said only helps you if what we have said is fairly consistent. And you, yourself, point out in your brief that we’ve kind of gone back and forth on whether this is a jurisdictional provision or not. So, even if Congress acquiesced in it, I’m not sure what they acquiesced in. Is everyone clear on that? It just goes to show how complex this issue is and how the eventual ruling will involve the splitting of more than a few hairs. General Verrilli, today you are arguing that the penalty is not a tax. Tomorrow you are going to be back and you will be arguing that the penalty is a tax. The challenges have certainly put the government in as many different positions as an advanced yoga class. Not all people who litigate about federal taxes are necessarily rational. I wonder if he includes himself in that assessment? Well, the same, it seems to me, would be true, say, for the market in emergency services: police, fire, ambulance, roadside assistance, whatever. You don’t know when you’re going to need it; you’re not sure that you will. But the same is true for healthcare. You don’t know if you’re going to need a heart transplant or if you ever will. So, there’s a market there. In some extent, we all participate in it. So, can the government require you to buy a cell phone because that would facilitate responding when you need emergency services? You can just dial 911 no matter where you are? All right. Suppose that you and I walked around downtown Washington at lunch hour and we found a couple of healthy young people and we stopped them and we said: you know what you’re doing? You are financing your burial services right now, because eventually you’re going to die and somebody is going to have to pay for it and if you don’t have burial insurance and you haven’t saved money for it, you’re going to shift the cost to somebody else. With arguments like that, how can you not love these guys and gals? It’s like being on rounds with the Meanest. Attending Physician. Ever. At one point, Justice Scalia compared the individual mandate to forcing people to buy broccoli. I say, hey, can’t Congress make people drive faster than 45 – 40 miles an hour on a road? Didn’t they make that man growing his own wheat go into the market and buy other wheat for his – for his cows? Didn’t they make Mrs. – if she married somebody who had marijuana in her basement, wouldn’t she have to go and get rid of it? Affirmative action? So what is argued here is there is a large group of – what about a person that we discover that there are – a disease is sweeping the United States, and 40 million people are susceptible, of whom 10 million will die; can’t the Federal Government say all 40 million get inoculation? Arguments continued Wednesday morning around severability, or the premise that if the individual mandate is unconstitutional, then the rest of the Act has to go as well. Justice Kagan asked whether Congress wanted half a loaf and whether half a loaf is better than no loaf. I think that’s somewhat debatable, depending on the loaf. If it’s Nutraloaf, I’d personally rather have no loaf at all. Mr. Clement, I didn’t take the time to figure this out, but maybe you did. Is there any chance that all 26 states opposing it have Republican governors, and all of the States supporting it have Democratic governors? Is that possible? There was laughter in the court as Clement admitted the correlation. I met up with some colleagues over the weekend and had the chance to hear different opinions on where the Court might land. The only consensus reached was that although none of us can predict which way it will go, we were unanimous in feeling that it will be a 5-4 decision. Regardless of the outcome, it will be interesting to see how Congress responds and how the Presidential candidates respond. The summer promises to be anything but dull. Have a question about legal precedent, jurisprudence, or what you have to do to file an amicus curiae brief? E-mail me. 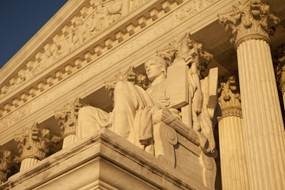 These are famous cases in which the Supreme Court extended the Commerce clause to defend the constitutionality of legislation affecting activities that don’t appear to relate to interstate commerce. In other words, they were relevant because he is signalling to the other Justices: we have set the bar very low for what counts as interstate commerce, and to follow precedent we have no choice but to rule this act constitutional now. Thanks for the clarification – makes the degree to which they will have to split hairs as they decide these cases even more interesting! See here http://www.lawnix.com/cases/wickard-filburn.html for Wickard v Filburn, for the wheat case. It’s one of everyone’s favorites, b/c basically Mr Filburn got penalized by the gubmint for growing wheat for his personal use; when his personal use was added to the amount he sold, he exceeded the quota. Now don’t go asking me how this involves the equally crazy case around Healthcare, except that some kind of fundamental right to tax everything you feel like taxing is involved.